We’re a local specialist cleaning business covering Leicester East, Leicester West and Charnwood and Rutland areas. We’re part of the world’s largest specialist cleaning company which, coupled with our local knowledge and passion for service means that you get the best of both worlds; a highly professional service provider who can fulfil the most demanding specification whilst maintaining a personal and responsive relationship with you directly. The best thing about our online booking facility is that you receive an additional 50% discount off of any additional items placed in your basket*. You also receive FREE stain protection! 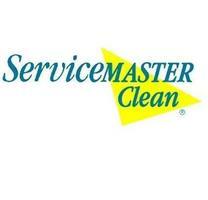 The 55 years of business experience as a national company in carpet, upholstery and hard-floor cleaning has enabled ServiceMaster Clean to develop the most effective methods and products to service our customers. Ever since having this system, the recommendations have been non stop. Our technicians are uniformed and fully trained and are chosen for their positive caring attitudes and commitment to getting the job right, first time. Child and pet friendly products. Green detergent free products offered.